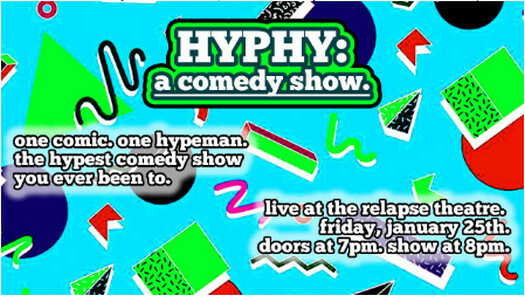 "this is hyphy: a comedy show"
A show filled jokes, adlibs, and musical interjections, one comic takes the stage to tell their jokes to the audience while being accompanied by a hypeman. During their set, their hypeman will do their best to make sure the audience gets the full experience of the jokes. This surely will be the hypest night in comedy history. Hosted by Chris Is Lame & Patrick Dalton with DJ Spencer Ruizzo."